Photos by Chris Allison | David Newman announces the purchase award winners. The Brookhaven College School of the Arts hosted an awards reception for the Spring Juried Student Art Exhibition on May 8. Student work was displayed and awaited critique in both the Studio and Forum galleries from April 23 to May 3. The pieces represented many types of artistic techniques, including metalwork, ceramics, drawing, painting, design, digital media, printmaking, photography, watercolor and sculpture. A crowd of more than 50 people gathered in the Forum Gallery long before the awards were presented. The reception’s attendees included art students, faculty, friends and family. BCSA Dean Rick Maxwell served as the function’s grill master, providing burgers and other grilled delights for artists and admirers. 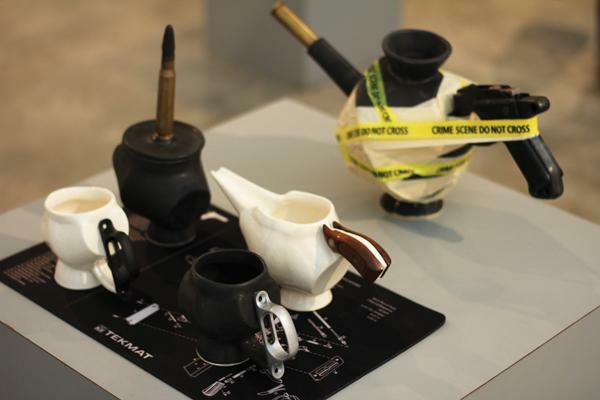 student Amy Titus’ third-place ceramic and mixed media piece, “Gun Debate Over Coffee,” lies among the Juried Student Art Exhibition held May 8. Students Tori Baker, Jennifer Brandon, Dan Markham and Kenneth Rajspis received honorable mentions. The awards “all involve an external review of the students’ work,” David Newman, Brookhaven’s Gallery Director and Visual Arts Coordinator, said. 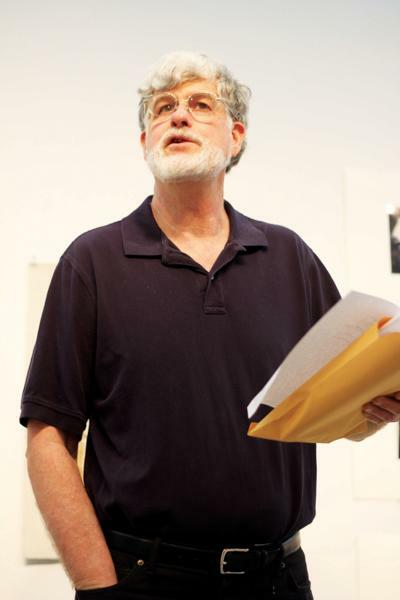 This year’s juror for the spring exhibition is Greg Metz, a senior lecturer of the University of Texas at Dallas’ School of Arts and Humanities. 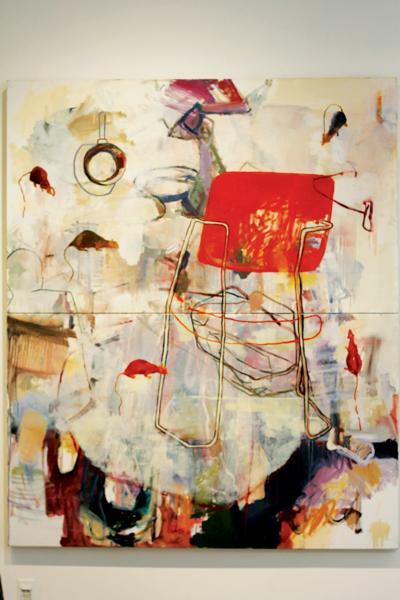 Metz is an active collaborator with the Dallas Museum of Art and has exhibited his work in Amsterdam, Germany and Ireland. His artistic expertise aids the BCSA in preparing students for the real world by mimicking the critique process in professional galleries. Pieces are also selected from the exhibit for purchase by the school to be added to the permanent collection. Aside from the benefit of handing starving art students checks, the purchase benefits the school as well. The permanent art collection enhances the aesthetics of the campus and documents the strength of the program, Newman said. Brookhaven’s full-time art faculty selected 11 pieces for purchase for the Permanent Art Collection on campus. “The Permanent Collection includes a total of 354 pieces with these acquisitions,” Newman said to the crowd, who eagerly awaited the purchase award announcements. Brookhaven College President Dr. Thom Chesney said he showed his support for the program by fighting through lunchtime traffic and “driving through a neighborhood he didn’t know existed” to attend the reception. Next → Next post: Send us your thoughts!